At least two times before the full moon has coincided with my Fabergé Fridays, and both those times the eggs have gone really well with the moon-theme. The funny thing is that today, when this happens again, the egg in line happens to be perfect for the full moon! 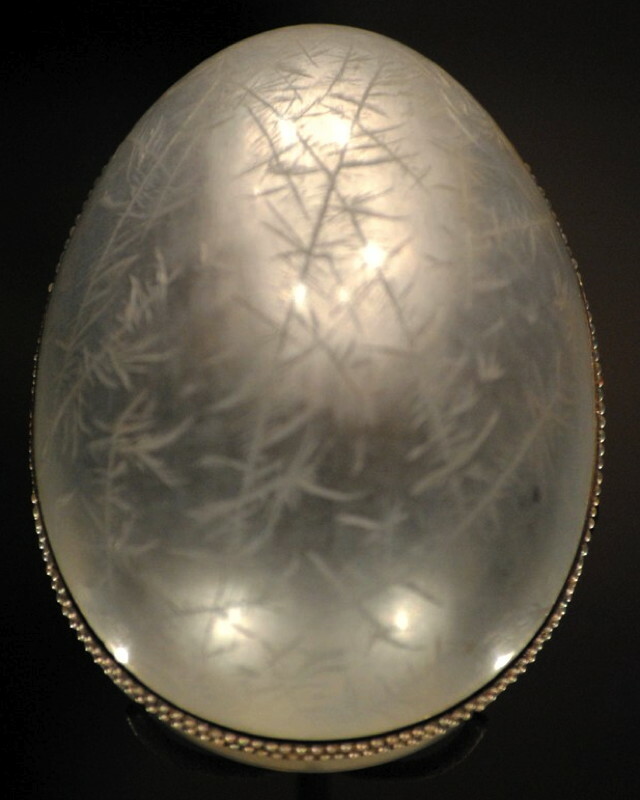 This egg is called the "Nobel Ice egg", or the "Snowflake Egg", was made in 1914, and looks like a shining moon! The shell of this moon-white egg is covered in alternating layers of opaque and translucent white enamel. Each layer is individually painted and engraved to resemble frost flowers. Around the edges where the egg opens up, sits bands of seed pearls. 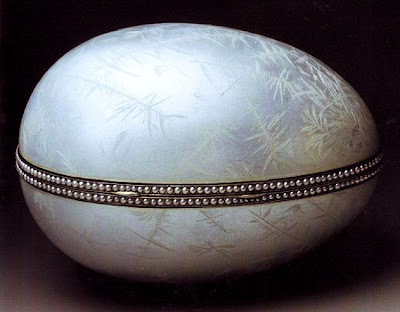 The egg resembles the Imperial "Winter Egg" a lot, and was designed by the same workmaster - Alma Theresia Pihl, the only female, and one of the best, designers/workmasters that worked for Fabergé. The commissioner of the "Nobel Ice Egg" was Dr. Emanuel Nobel - Alfred Nobel's nephew. Emanuel was one of the leading figures of the oil industry at this time, and also one of Fabergé's most important clients. Franz Birbaum - Fabergé's head workmaster - recalls about Emanuel that he "was so generous in his presents that at times it seemed that this was his chief occupation and delight." Pihl also wrote about him that for "Dr. Nobel a dinner party was no dinner at all unless all the ladies were suitably rewarded. On one of those occasions, wishing to recall a Russian winter, he conceived the idea of giving all the ladies present an icicle. Fabergé carried this out in pendants and brooches in rock-crystal with a matte surface adorned with small diamonds in frost design." I wouldn't have mind going to one of his parties, but the lucky receiver of this icy egg we know only as "a friend". 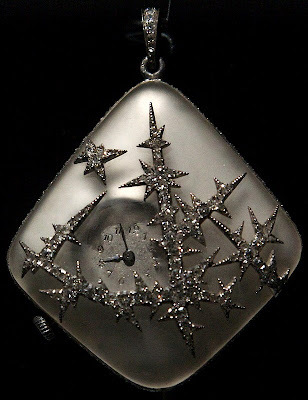 The surprise inside the egg is a miniature watch-pendant made of rock-crystal and platinum, decorated with ice crystals of rose-cut diamonds. In 1998 the "Nobel Ice Egg" was bought by the Forbes Collection, but between 1998-2004 it was then privately sold to an anonymous buyer. This looks awesome to me Miss Meadows, seriously love it. Thanks for sharing as usual.